Cells4Life Umbilical Cord Tissue Storage is an add-on service to any of the cord blood storage plan we offer. 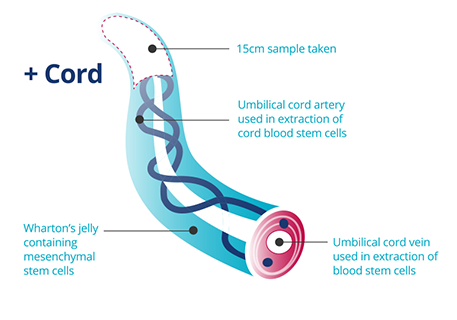 The umbilical cord tissue is a rich source of MSCs and current research has demonstrated that these cells, together with the umbilical cord stem cells from the whole cord blood sample, can form many if not all of the cell types needed for tissue repair and replacement. 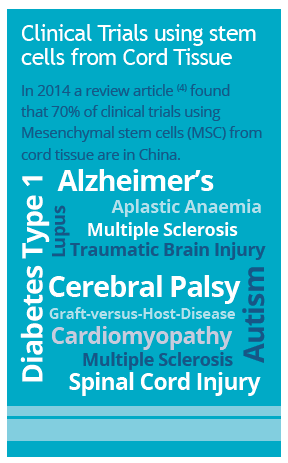 Umbilical cord tissue storage will not only increase the number of MSCs harvested but will also add further cell types not present in the cord blood. Cells4Life ensures that the maximum number of cell types are preserved, providing more opportunities for use of your child’s sample now and in the future. Saving both the cord blood and tissue will help your family be even more prepared and provide more medical options in the future. Cord blood is being used today to save lives and both cord blood and cord tissue are being researched for additional ways they may be able to help treat conditions that have no cure today.